The ‘stately’ side of the estate. Unlike the UK and Europe where castles are ten a penny, they’re not really a thing in Oz. This is because the traditional custodians of Australia were nomads, who left little signs of their presence upon the land beyond cave paintings. So, you don’t really expect to find structures older than 150 years, when castles weren’t exactly in fashion. 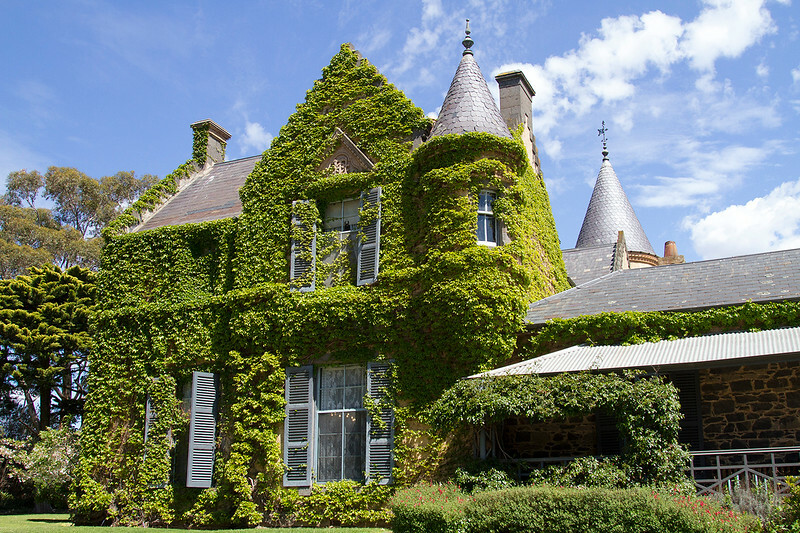 Despite this, there are quite a few ‘castles’ in Victoria – Avalon Castle in Cockatoo and Kyral Castle near Ballarat. Heck – there’s one in Tasmania, too! 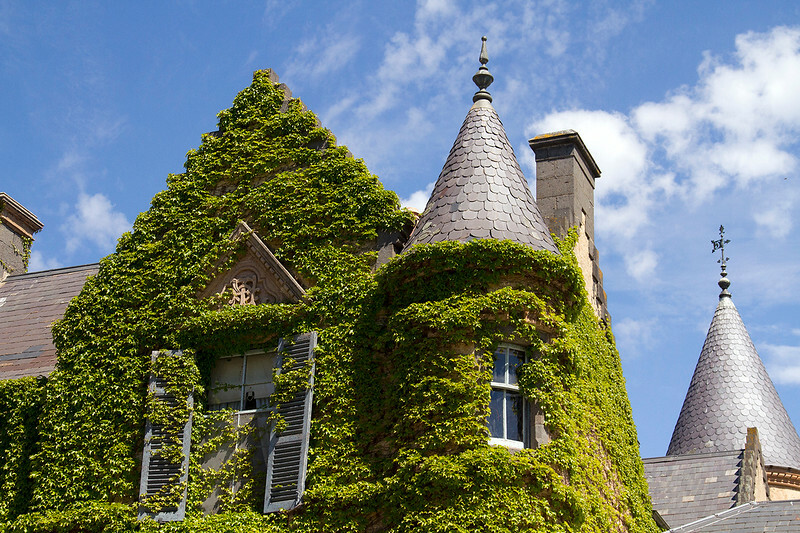 The ivy really gives Overnewton an air of regality. When I heard there was a ‘castle’ in Melbourne’s north-west, I knew I had to check it out for myself. Further investigation showed that the estate opened monthly for High and Devonshire Teas and tours. Tea and historic structures are two of my favourite things in the world, so I was quick to book in. Turns out the building was built by a Scotsman and there’s plenty of evidence to suggest that the Scottish know how to make a decent castle. When you see Overnewton in the flesh, it appears grand enough to qualify for ‘castle’ status so I let it slide this one time, despite the distinct absence of a moat. 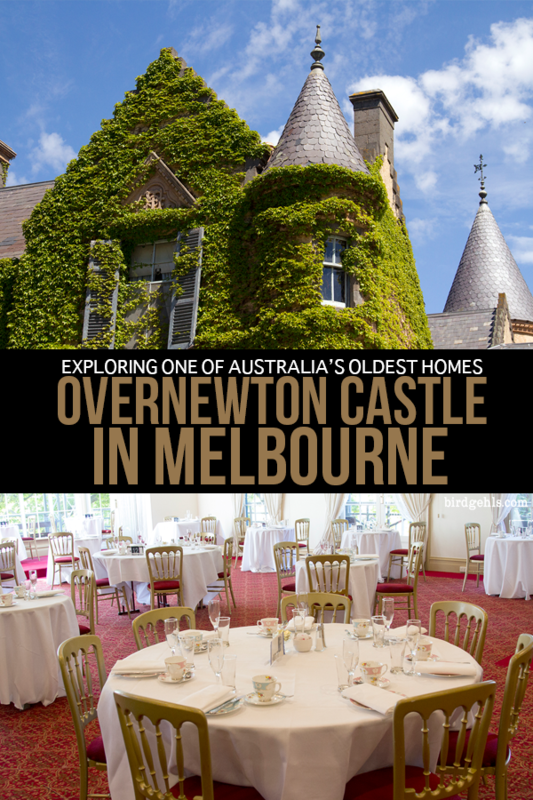 In any case, this is what it’s like to visit Overnewton Castle in Melbourne, for a poke around its rooms and High Tea. 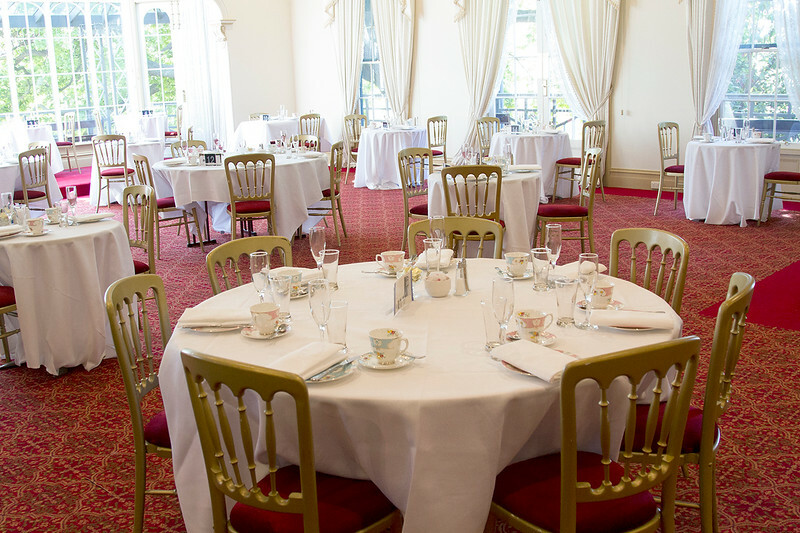 The reception hall, where High Tea is taken. I didn’t really see any point in driving all the way out to Keilor, if we weren’t going to tour the house. The tour (which was $15 pp) was where I feel we got the most value. 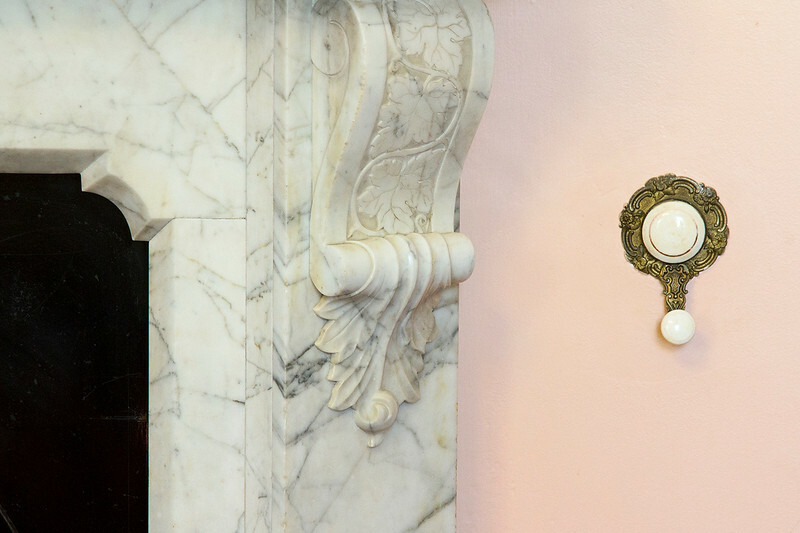 You get to walk through parts of the house not normally open to the public and learn firsthand about the estate’s history. The tour is conducted by members of the Norton family (who now own the property) and we had Emma, the youngest daughter, lead us around on this particularly occasion. 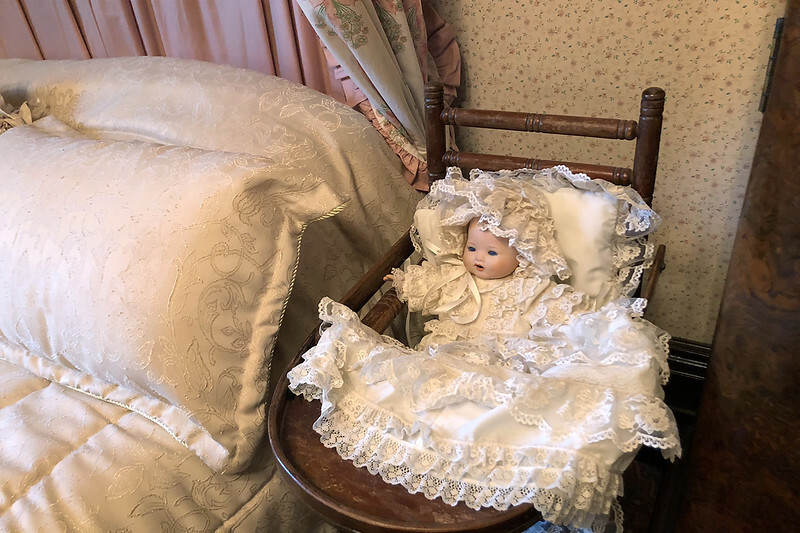 Emma’s bedroom as a teenager. She appreciates it now, but at the time just wanted to fill the room with posters of Duran Duran. We walked through the rooms downstairs, including the once ‘master’ bedroom of the original colonial homestead (quite small in comparison to those of today! ), the drawing room for the Victorian ladies and the Billiard room for the men, which now serves as a chapel. From there, we were taken into the private quarters of the home, including her father’s bedroom, library and her own bedroom, which she’d slept in as a teen. 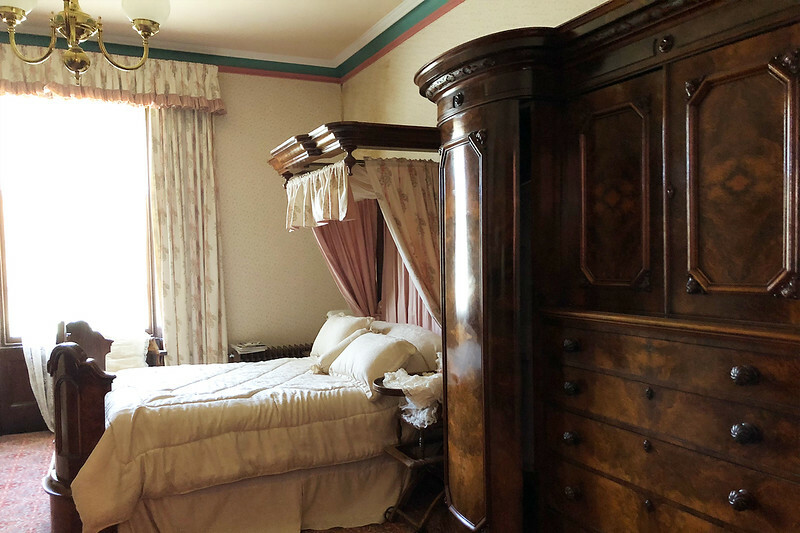 Filled with antique furniture, Emma said she appreciated it a lot more now than she had previously. While we all remarked that it would have been something to grow up in a room as grand as it, she said that she’d been in a permanent sulk at the time, due to not being allowed to put posters of Duran Duran on her bedroom walls, like her peers. The once drawing and now Victorian room was the most brightly coloured and therefore my favourite. In its almost 170 years of existence (to be celebrated in 2019! 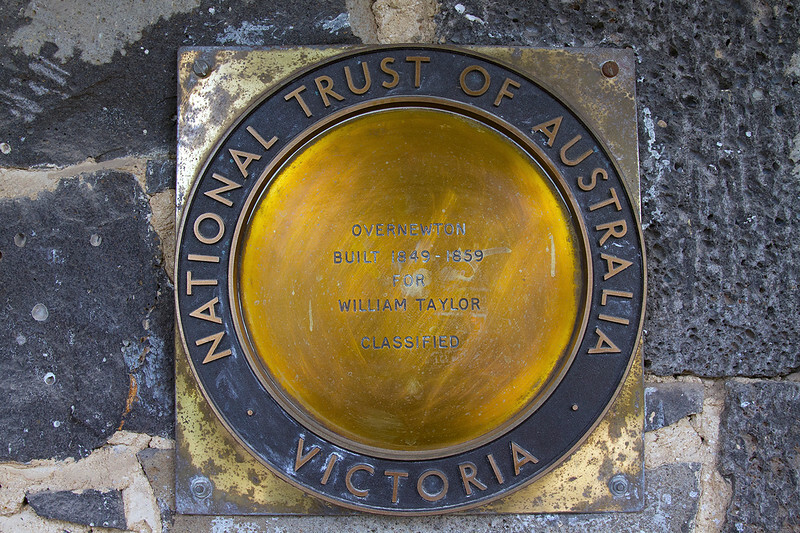 ), Overnewton has been home to three families – the Taylors, the Carrs and the Nortons. After arriving in Australia from his native Scotland, William James Taylor bought 13,000 acres of farm land west of Keilor. 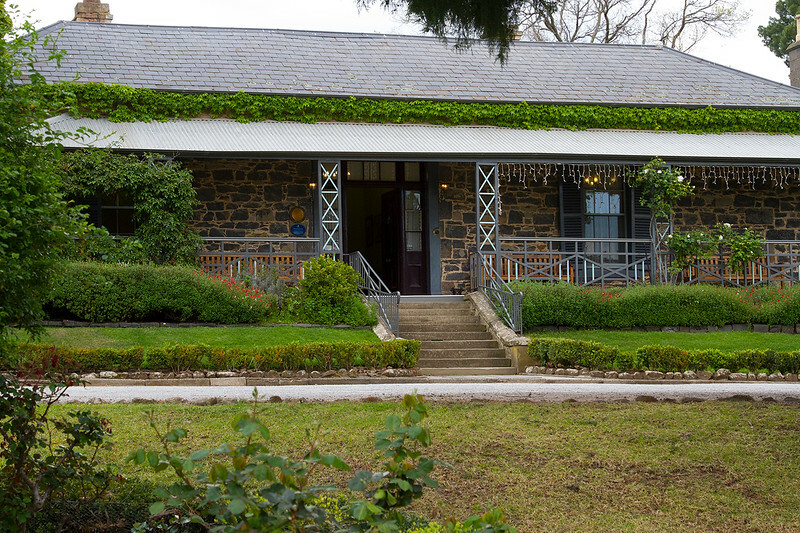 On this, in 1849, he built a single story bluestone homestead, consisting of six rooms, on a gentle slope which looked out over the countryside. The building would house both him, his young wife Helen (they married when he was 31 and she 16, but reports say they were and remained very much in love) and the 12 children they would go on to have together. For the Scotsman, it was a case of right place, right time. It was boom time in this part of Victoria, with the Goldrush in full swing. Keilor was placed right between Melbourne and famous Goldfield towns like Bendigo and Ballarat and benefitted from this positioning. Travellers often stopped in the township on their way through to the Goldfields, leading to a new bridge, hotel and schools to be built in the town. The decor for the Billiard room was brought straight from Scotland. Taylor himself invested heavily in farming, holding multiple properties. 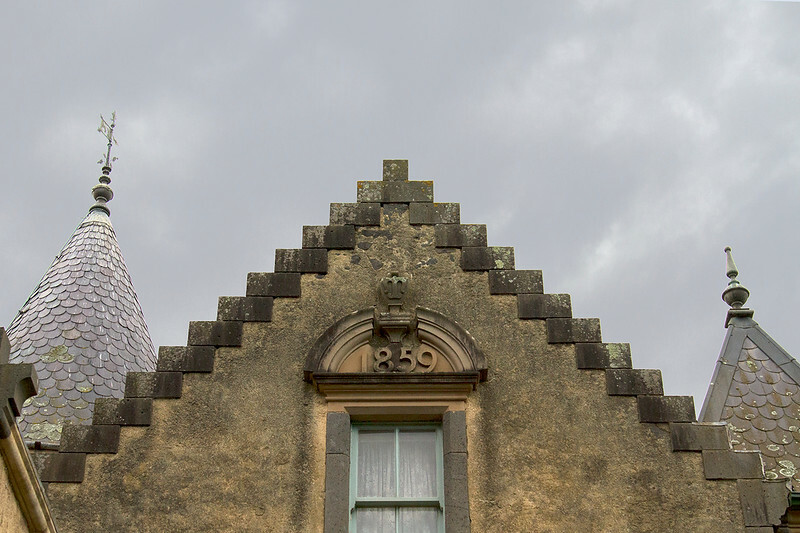 He was inspired by a trip to his native country of Scotland in the late 1850’s and arrived back in Australia, determined to build the home of his dreams. 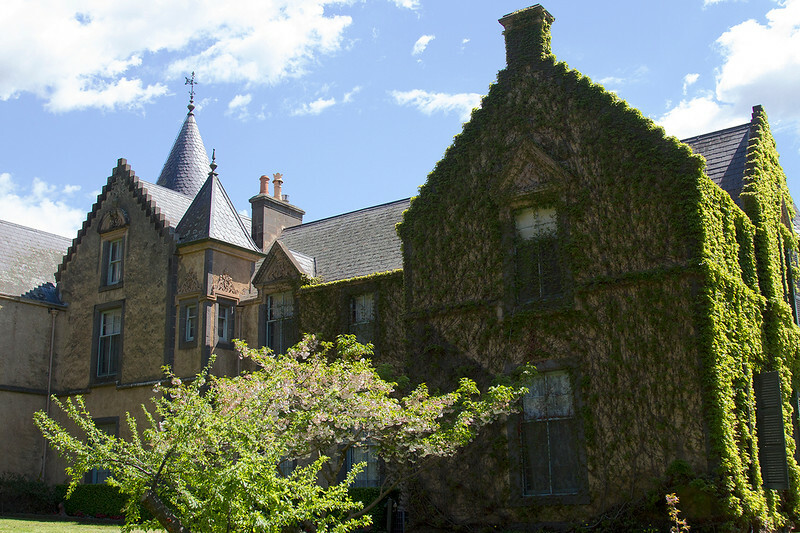 Inspired by Scottish Baronial Castles, he added a two storyied wing, containing some 35 rooms – 7 bedrooms, libraries, a drawing room, kitchens and servant’s quarters, along with a Dairy & Butcher Shop and the private Billiard room, where he and his pals could sit, play games, smoke cigars and gossip. During the tour, Emma said she’d loved to have been a fly on the wall for some of these conversations – I felt inclined to agree! Taylor’s luck ran out shortly before he passed away – a drought hit the Australian farming industry hard and he lost much of his land. He died in 1903, six months before his heartbroken wife Helen would follow suit. Here you can see the Taylor’s lovelock – an ‘H’ intertwined with a ‘W’. The property remained in the family until 1959, when it was sold to the Carrs. This was the first instance where the home began to be used for wedding receptions, a tradition that continues to this day. The Carrs raised their children on the property until it was bought by Dr Norton in 1975. 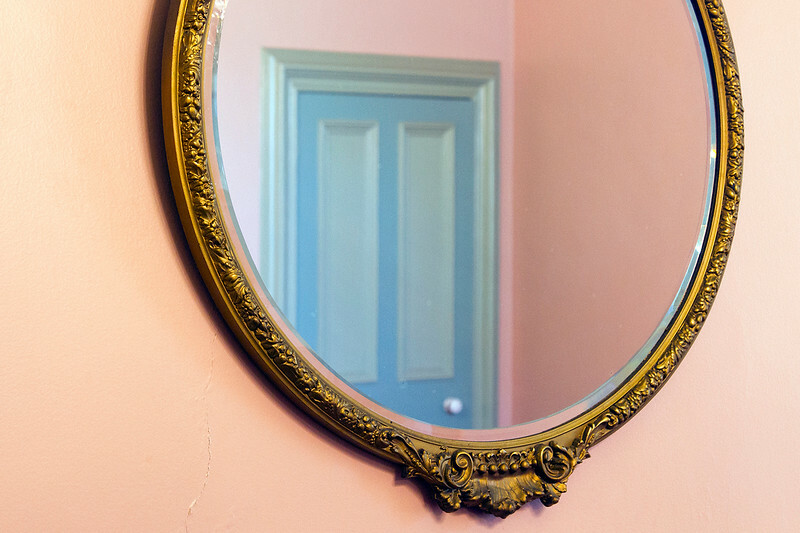 He moved his family onto the estate and made changes to the house – for a spell, it even served as a private practice for him and his wife, who was also a doctor. 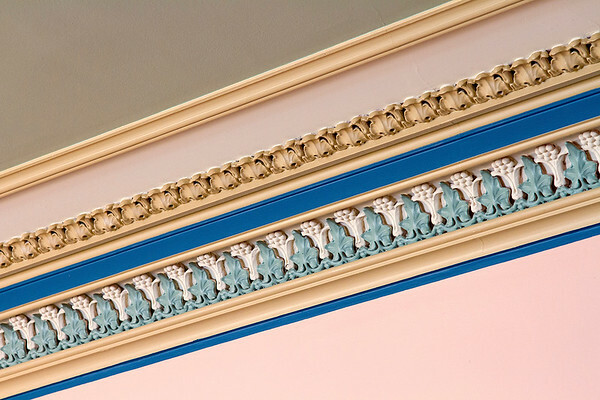 Details of the drawing room. These were added after the Taylor’s had left the property. This wheel would be turned to summon the servants. It’s all very ‘Downton Abbey’, isn’t it? Dr Norton still lives on the estate to this day and although we didn’t meet him, seems quite the character. An avid antique collector, he has an eye for furniture and knick knacks, which fill the rooms and halls of the estate. He still gives regular tours of the property and even dresses up as a pirate sometime, as homage to his interested in boats and sailing. He seems quite a character – truth be told, I was more interested in finding out more about him than William Taylor! The colonial homestead, which was built in 1849. 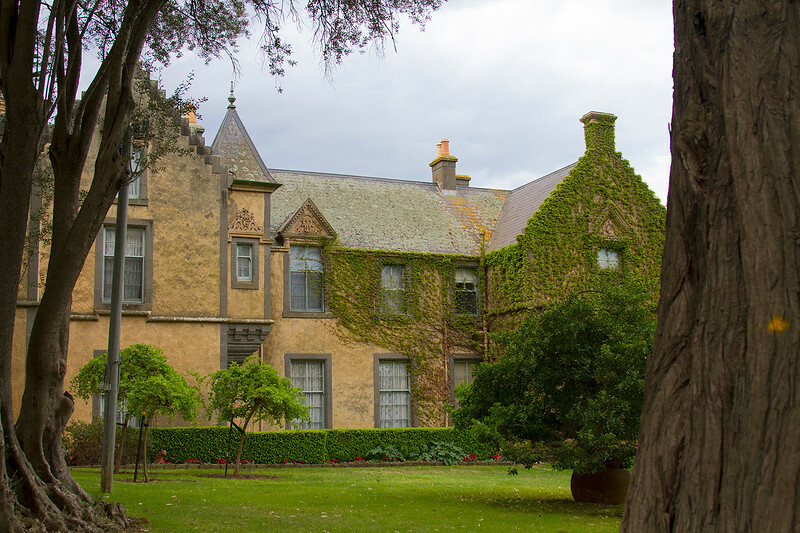 A house as old as Overnewton has done well to survive for as long as it has – it has seem some changes, such as the introduction of telephones, electricity and heating, not to mention Melbourne’s booming land prices. 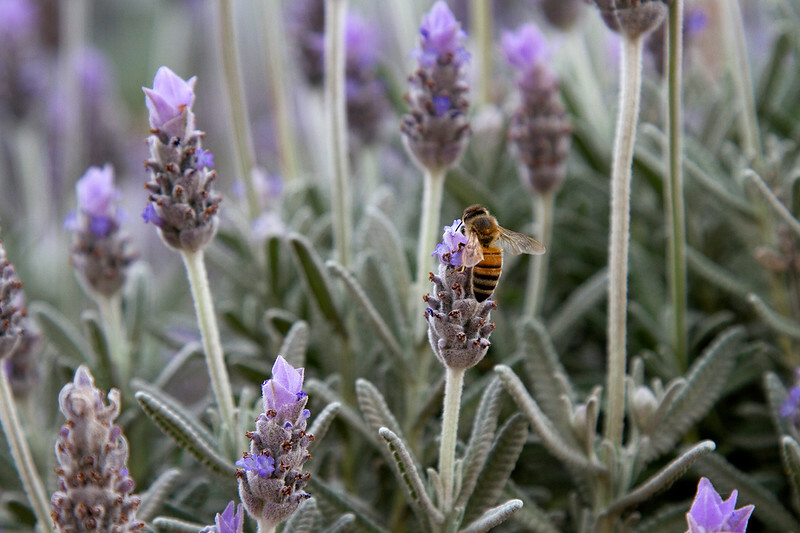 The presence of bees in the gardens have proved to be problematic. Our tour guide Emma helps manage the property and told us that it takes a lot of money and maintenance to keep the house in one piece. She was currently battling with local bees, who’d placed their hives in many of the chimneys. They have a tendency to swarm – usually when the estate has been booked out for a wedding, as life would go. There are so many of them that their honey had filled the walls of the house and is leaking through cracks in the rooms of the top storey! She joked about finding a way to bottle it and sell, but stressed that it was just one of the ongoing issues that the estate faced, if it was to continue to survive. After the tour is completed, you can hang around the castle for a High or Devonshire tea. I will say the tea is a bit basic for the price, which is $60 pp. Patrons are given three-tiers of treats, with sandwiches (three sorts, we had eggs, chicken and ham), savoury items (tarts and pies) and cakes with macarons, alongside three sweet and savoury scones. While it was more than enough food, there wasn’t really anything special about it – it was all pretty standard fair. 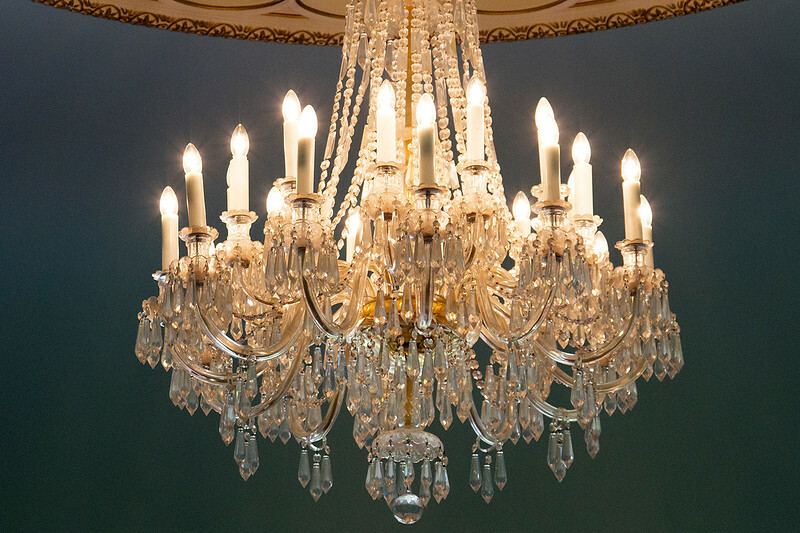 This chandelier used to feature real candles which servants were tasked with lighting. Love this sort of crockery. Alongside that, you’re given the option of coffee or tea. The tea is standard, brewed from a teabag. 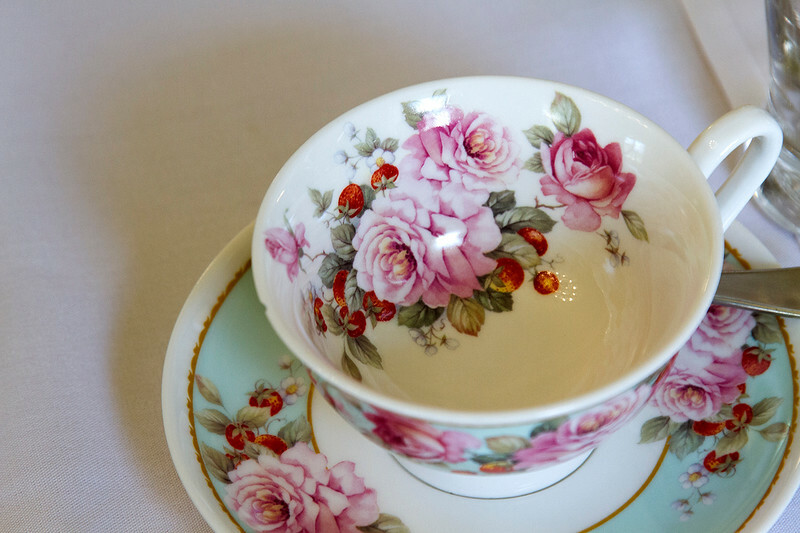 I really do think High Teas should offer a choice of tea, made from tea leaves, but then again – I am a tea fanatic. On the flip side, the glass of champagne we were offered was included in the price, I couldn’t fault the service and the setting is what really makes the event. 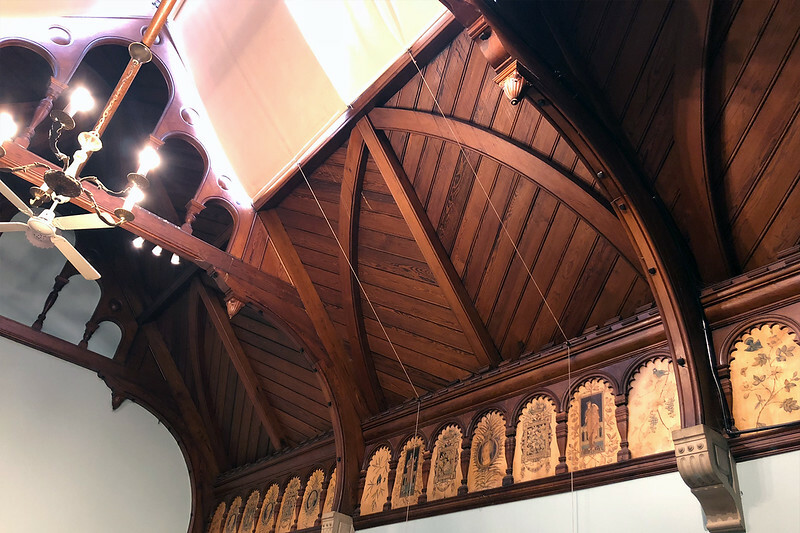 We were told proceeds go back into funding the maintenance of the house and I am completely okay with that – I think these old stately homes deserve to be taken care of and I can’t imagine it comes cheap. When you take all of this into equation, the price seems fair. 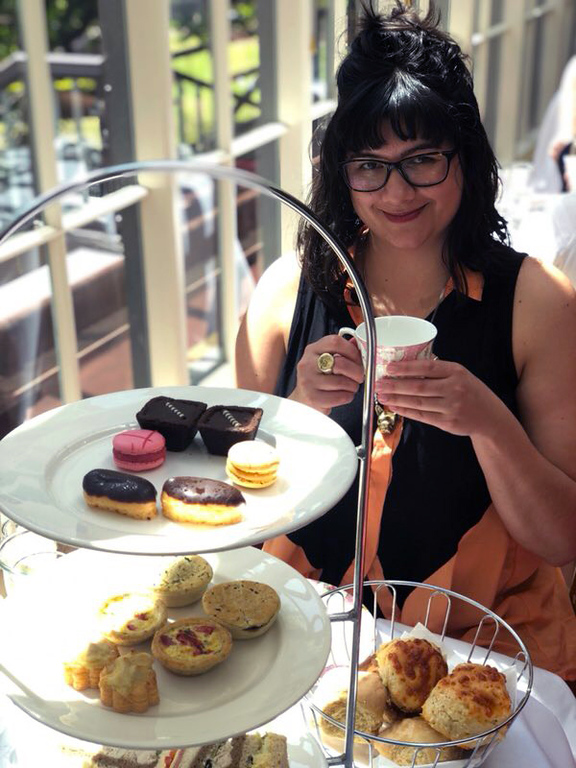 So, in conclusion – come for the experience, rather than the high tea itself. I think if I were to return, I’d opt for the Devonshire – it was a much cheaper price and the scones were really nice. Visiting early October meant we got to see the last of the blossoms! I think we were bang on the money, visiting when we did, which was early October. The spring blossoms were starting to disappear, but many other flowers were blooming, along with the ivy that adorned the castle. If I were to pick a time to go, I’d head there in the autumn months (March-May), as the leaves adorning the castle apparently turn red and that would surely be quite a sight to see. Marking the year the house was completed. 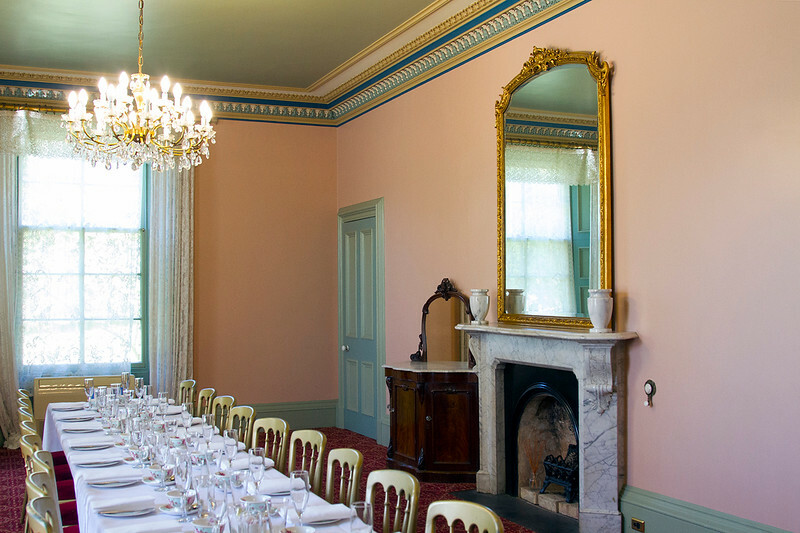 Overnewton Castle does hold regular events beyond weddings and high teas – everything from kids days, to films screenings. Check out their events page for more details. Stroll through the gardens after having High Tea. Keilor is a bit of a pain to get to via public transport, so you’re best of driving. It takes around half an hour from the city, ten minutes less if you take the Citylink. There’s plenty of parking onsite. 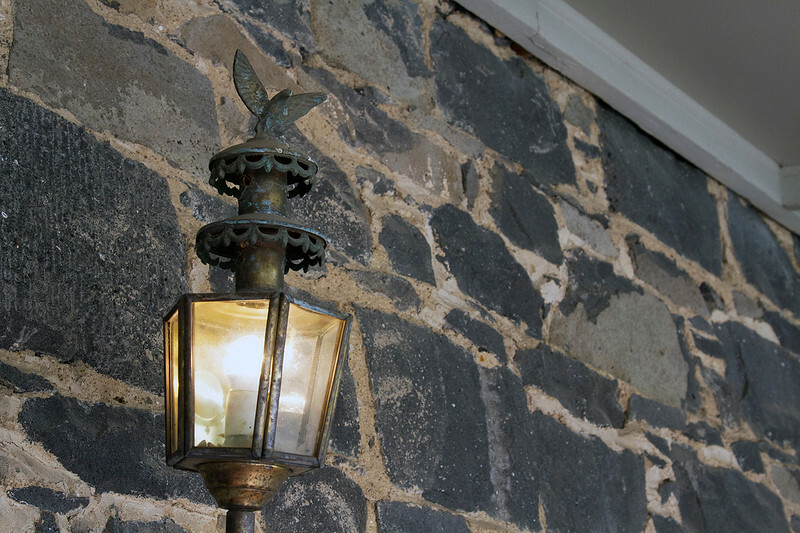 Love all the details of places like this – it’s what buildings these days are distinctly lacking in. Looking for some other things to do during your time in Melbourne? Here are a few posts for extra perusal. Where to Stay in Melbourne – a breakdown of seven popular suburbs of the city, each with their pros and cons, recommended accommodation and things to do. Looking for somewhere quirky to stay? Try the NOTEL – a collection of airstream trailers on a carpark roof in the CBD. You can easily travel out to one of the state’s most popular sights the Twelve Apostles in a day. Thinking of moving to Melbourne? Here’s what to expect. See the rest of my Australian archives here. Heading to Melbourne? Pin this post for future reference. It’s so nice! I’d love to see it in autumn.